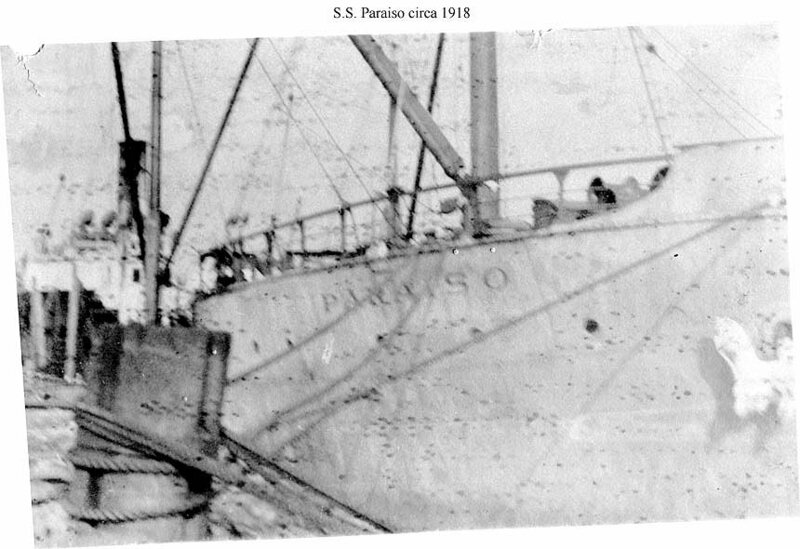 Built in 1912 as SS Paraiso by Craig Shipbuilding Co., Long Beach, CA. 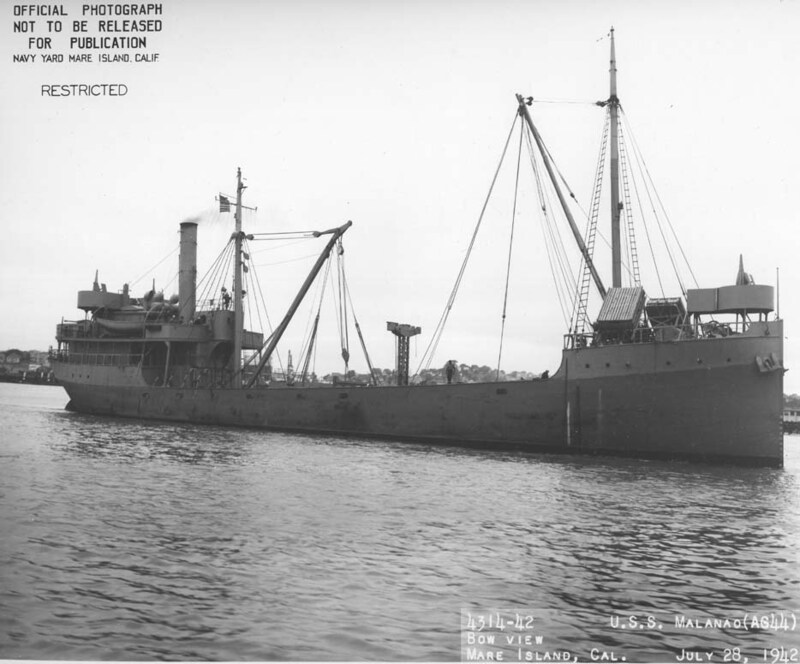 Converted for Naval service at General Engineering & Drydock Co., Alameda, CA. 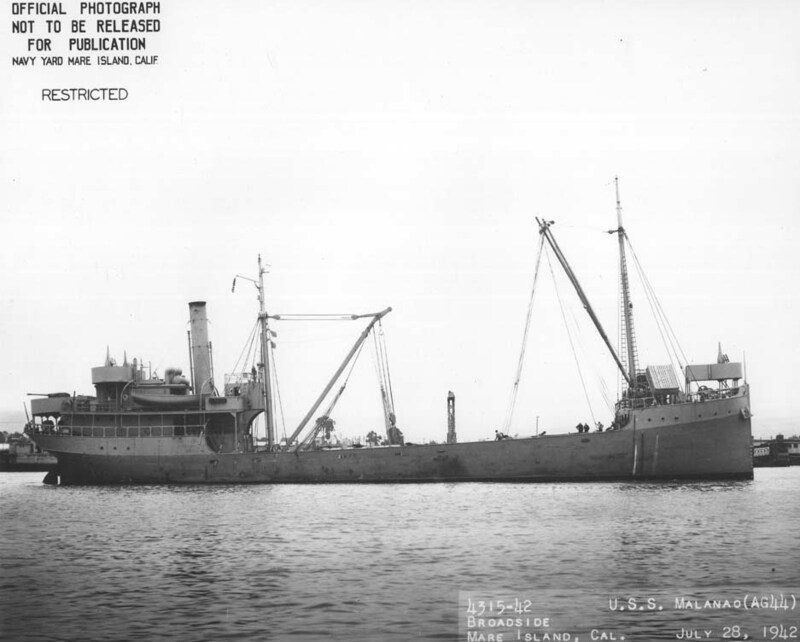 Decommissioned 18 February 1946 at Mare Island Navy Yard, Vallejo, CA. two Scotch boilers 160psi Sat. 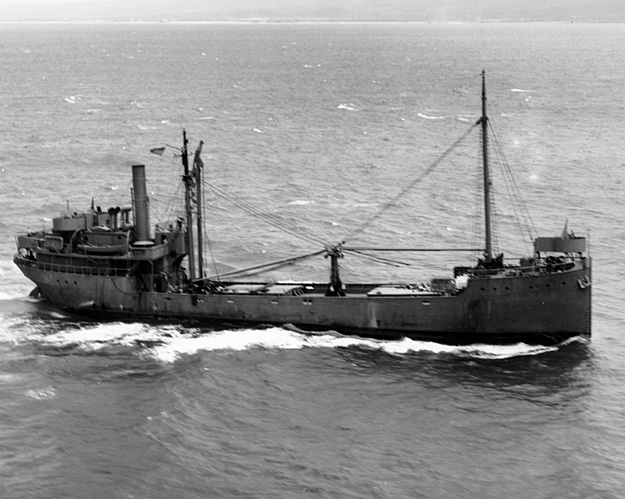 two Diesel-drive Ship's Service Generators 30Kw 120V D.C.
96k SS Paraiso a very poor view of this six-year old ship taken when she was inspected in January 1918 for possible Navy service during World War I. 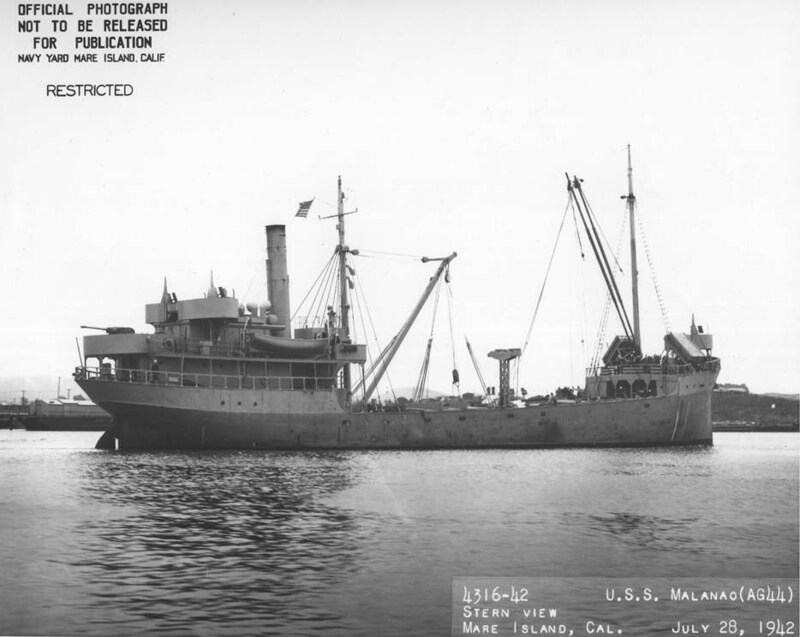 109k USS Malanao (AG-44) underway, date and location unknown.